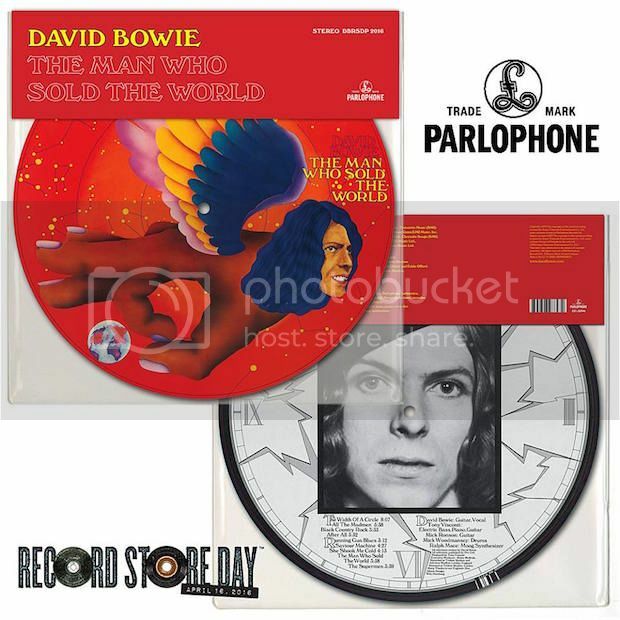 Two David Bowie picture disc reissues have been announced for this coming Record Store Day and they'll beoth be out on April 16. Two David Bowie picture disc reissues have been announced for this coming Record Store Day and they'll both be out on April 16. Look out for Bowie's 'TVC 15' single, taken from 1976's Station to Station, (which will be backed by a 2010 single edit of 'Wild is the Wind,' and 1970's The Man Who Sold the World LP, will be reissued with the original German artwork.